(f) Annual energy use values estimated based on 2005 capacity factor. (g) IEA(2008e); shows only 2006 data. 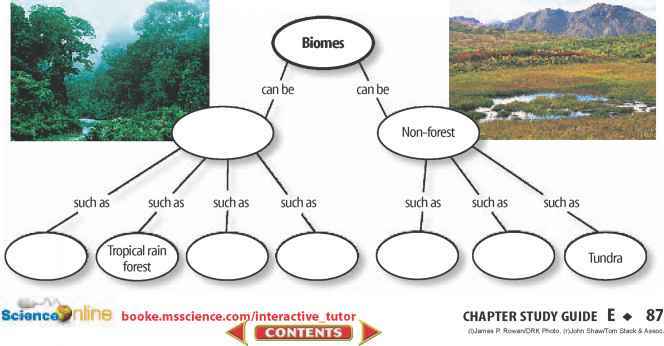 (i) IEA (2008g); see also Appendix 3 (this volume) (j) Includes traditional biomass. to see nature as fragile and the economy as capable of absorbing the costs of environmental protection without harm. Hierarchical organization views both nature and the economy as resilient within limits that must not be transgressed, and thus tends to be preoccupied with technical analysis of the state of both nature and the economy (for elaboration, see Thompson and Rayner 1998). The driving concerns are also different under each strategy: in the hierarchical state, the concern is on system maintenance; in the competitive market, it is about staying ahead; under the egalitarian approach, it is about limiting demand. Energy supply is characterized by large infrastructure in the hierarchical approach, it is opportunistic in competitive markets, and it is based on distributed resources in the egalitarian world. The diagrammatic mapping of scenarios onto the integrated social science description of viewpoints is shown in Figure 22.3. To ensure that our analysis was robust across all three of these world views required that we identify a set of energy scenarios that exhibited corresponding diversity. The IEA Energy Technology Perspectives (ETP) 2008 energy scenarios, the most recent comprehensive set of global energy projections, were selected to help examine the potential linkages and sustainability constraints of such value sets on future energy systems (IEA 2008c). The IEA ETP includes detailed assumptions about technology and energy uses for power, transportation, and end use. Three scenarios were chosen: Baseline, ACT Map and BLUE Map. The average economic growth amounts to 3.3% per year in all IEA scenarios. Hence, GDP quadruples between 2005 and 2050. Demand for energy services is the same in all scenarios. There is no change in lifestyles, but the energy technology mix is radically different in each scenario. ETP explores different policy options concerning energy supply (e.g., nuclear, CO2 capture and storage, renewables) and end-use efficiency. The IEA Baseline is the laissez-faire scenario, characterized by increasing economic growth but slowing population growth after 2030 to reach a total world population of 9 billion in 2050. Automobile travel and freight transport increase more than threefold, and global CO2 emissions increase by more than 130% above 2005 levels, even with enactment of all climate policies currently under consideration. The IEA ACT scenario looks at policies to bring CO2 emissions back to 2005 levels in 2050. This implies increased end-use efficiency and a virtually CO2-free power sector with significant fuel switching. The IEA BLUE scenario has the goal of halving CO2 emissions by 2050. In addition to the options in the IEA ACT scenario, the BLUE scenario considers CO2 capture and storage (CCS) in end-use sectors and reduced emissions from transport. Oil demand falls below current levels. With respect to specific technologies, the IEA BLUE scenario assumes 1250 GW maximum nuclear capacity, 18 thousand large wind turbines, 215 million m2 of solar panels, nearly a billion electric or hydrogen fuel cell vehicles, and the provision of just over 19,000 TWh/yr through renewable power in 2050 (Figures 22.4-22.6). Our approach has been to use an integrated social science framework in selecting these scenarios and then exploit a more traditional "stocks and flows" framework to understand the impacts on the energy system (see Figure 22.3).